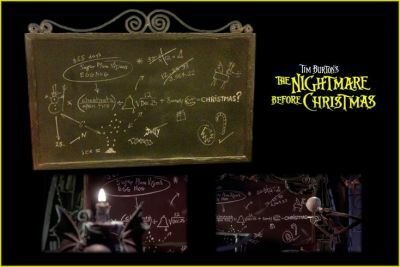 This is Jack's screen used chalkboard from the Tim Burton animated classic "The Nightmare Before Christmas". This chalkboard can be seen in a couple of different scenes throughout the film. Mainly when Jack is trying to solve the math equation the figure out exactly what makes Christmas.